Write it a diamond glitter like the second example. Slease Sent me your E-mail. 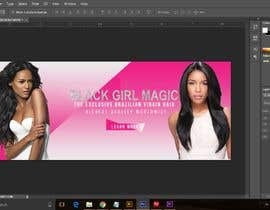 Hi do you want the additional content below like in the example or just "BLACK GIRL MAGIC"?